We have 2 luxurious safari tents available. 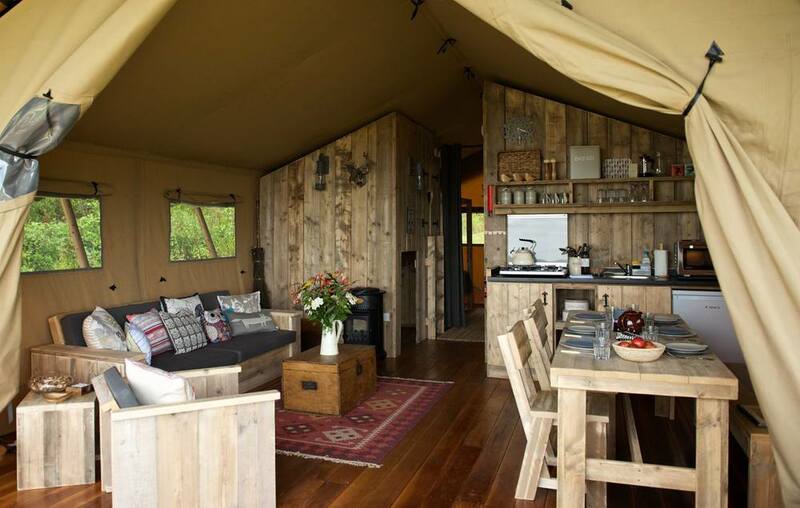 The tents come with two bedrooms, kitchen and outside decking area with a BBQ. Each tent sleeps four to six people and comes with comfy mattresses and bedding. 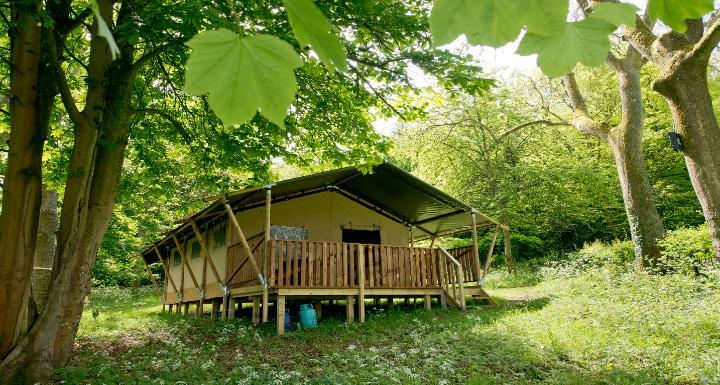 The tents boast wooden flooring and a wood burner to keep you warm and toasty. We have camping available for up to 14 people. 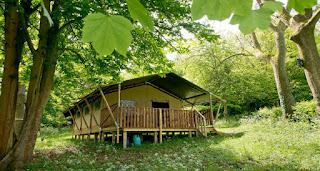 Facilities includes outdoor showers, toilets and washrooms for campers to use which are shared with hostel guests. Guests have access to the hostel facilities including the self catering kitchen. There are two fire pits on site which means you can collect or bring your own wood and build a real campfire. Situated in the Surrey Hills, an Area of Outstanding Natural Beauty, we are ideal ideal for walking and cycling holidays.